The UK's best selling small car has just got better with the all new Ford Fiesta ST.
Now available to order from Paynes of Hinckley. And please read on and watch the videos below to learn more about this exciting new product. Normal Mode: Used for normal everyday on road driving. Vehicle response tuned for all- around street driving. Sport Mode: Used for spirited, performance oriented and limited handling. Reduces Electronic Stability Control (ESC) and provides a sportier steering feel and throttle response. Track Mode: Provides a real performance driving experience. The engine responds directly to inputs and takes on a more powerful tone. ESC is reduced even further. Cylinder deactivation depends on speed and load. Once one cylinder is switched off, the two remaining cylinders operate at 50% higher load in a more fuel-efficient region. 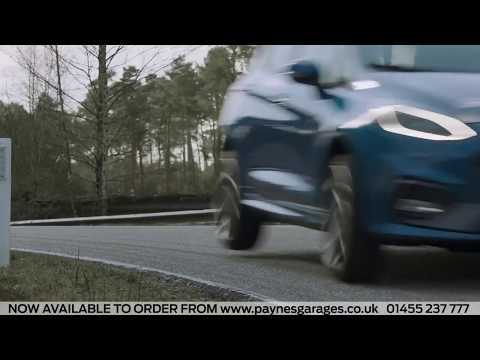 Paynes Garages is located in Hinckley, Leicestershire. Contact us for any questions or enquiries you have on the Ford Fiesta range, and our staff would be happy to arrange a test drive in your desired model. 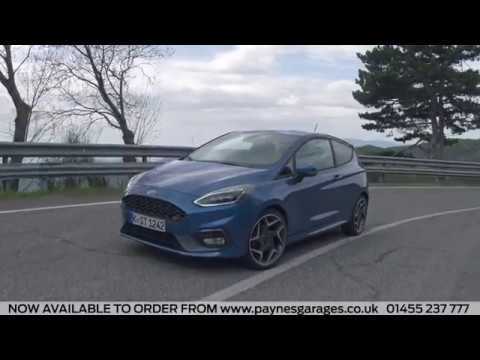 Introducing the All-New Fiesta Watch the video here.